The Grosvenor Shopping Centre is an indoor shopping mall in the heart of Chester city centre. It boasts around 60 stores, including Debenhams (Brown of Chester), H&M, TK Maxx, and Sports Direct. 3 Store – Mobile phones, SIMs, tablets etc. Ann Summers – Lingerie etc. Build-A-Bear Workshop – Create a personalised animal. Castle Galleries – Original and limited edition art. Chisholm Hunter – Jewellery and watches. Disney Store – Official Disney merchandise. Ella Rosinkrans - Recycled glass art. Foot Locker – Sports footwear and apparel. Gieves & Hawkes – Menswear and tailoring. Go Mobile – Mobile phone accessories. Hidden Hearing – Hearing aids. Jewellery by Design – Handmade jewellery and jewellery repairs. LK Bennett – Women’s fashion, shoes, bags, and accessories. Millie’s Cookies – Cookies, cupcakes, muffins, ice cream, and beverages. Muffin Break – Muffins and beverages. Nailista - Nail and brow bar. Pour Moi? – Lingerie and swimwear. Whitewall Galleries – Art gallery. Facilities include customer toilets (including disabled), a baby changing area, and free Wi-Fi. The centre is open every day of the week. Standard opening times are Monday to Saturday 9 am to 5.30 pm, and Sunday 11 am to 5 pm. 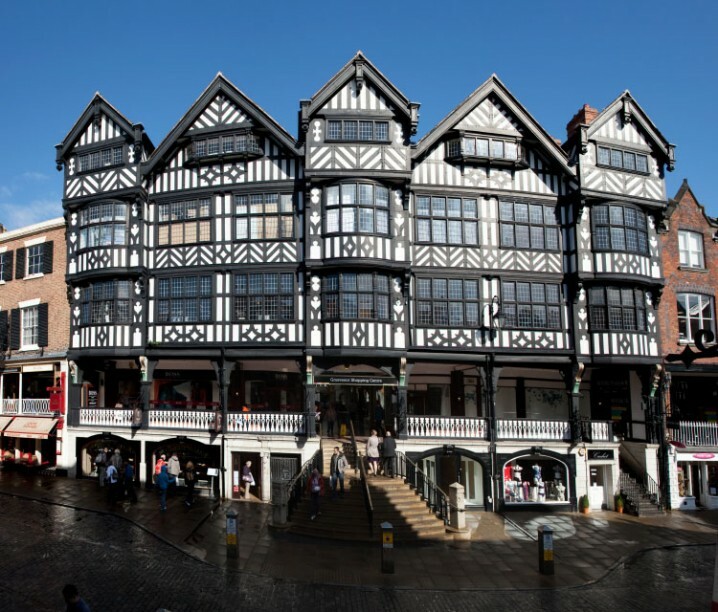 The shopping centre is bounded by Eastgate Street, Bridge Street, Pepper Street, and the Chester Grosvenor hotel. Entrances to the mall are on Eastgate Street, Bridge Street, and Pepper Street. The Grosvenor Shopping Centre boasts its own car park with spaces for over 400 vehicles (parking fees apply). The entrance is on Newgate Street, off Pepper Street. The postcode for Newgate Street is CH1 1DE. 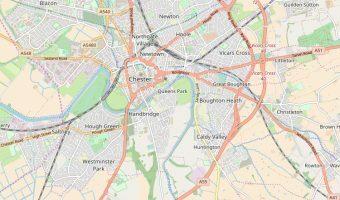 Chester Train Station is approximately ¾ of a mile from the mall. A shuttle bus service runs from the station to the city centre. Attractions within easy walking distance of the Grosvenor Shopping Centre include Grosvenor Park, Chester Cathedral, and the Grosvenor Museum. Map showing location of Grosvenor Shopping Centre.